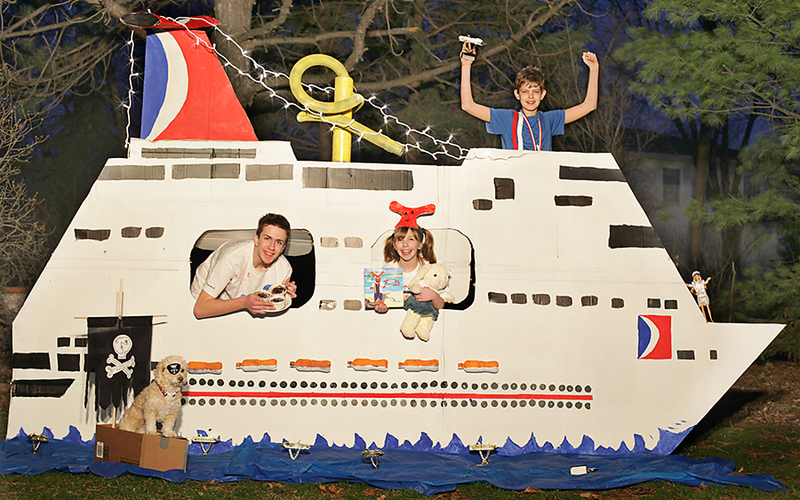 Creativity was certainly on display with Carnival’s Build a Ship Out of Everyday Items contest with many highly unique and imaginative entries. In the end, it was Carrie Duwelius’ “Carnival Cardboard Cruiser” that was judged the winner, earning more on-line votes than any other entry. For her winning entry, the Naperville, Ill., resident receives a complimentary seven-day Caribbean cruise for four on the new Carnival Magic. Sailing on a sea of cardboard waves, Carrie’s colorful and ornate six-foot-high replica of a Carnival “Fun Ship” came complete with cut-out portholes, the line’s signature Twister waterslide and, of course, the company’s iconic funnel. The contest offered more than just a chance for participants to show their creativity, it also raised money for St. Jude Children’s Research Hospital, with Carnival donating $1 to St. Jude for each entry and vote, as well as for each Facebook fan who “liked” the contest. 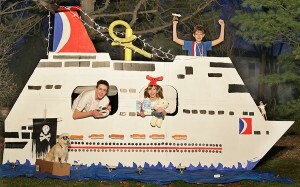 The Build a Ship contest was part of the line’s “Make the Magic Yours” campaign that encouraged Carnival fans to add their own unique touches to the new 130,000-ton vessel, everything from naming a dish in the Cucina del Capitano Italian restaurant and coming up with a creative moniker for the ship’s two-level mini-golf course to devising clever sayings to be placed on coasters used in the Caribbean-inspired RedFrog Pub. Carnival Magic is set to debut on Sunday, May 1, with a special nine-day cruise from Venice to Barcelona. The ship will then operate a series of seven- to 12-day Mediterranean cruises from Barcelona through Oct. 16, 2011 before repositioning to Galveston, Texas, for seven-day Caribbean sailings beginning Nov. 14, 2011. Carnival Magic will be Galveston’s largest year-round cruise ship.